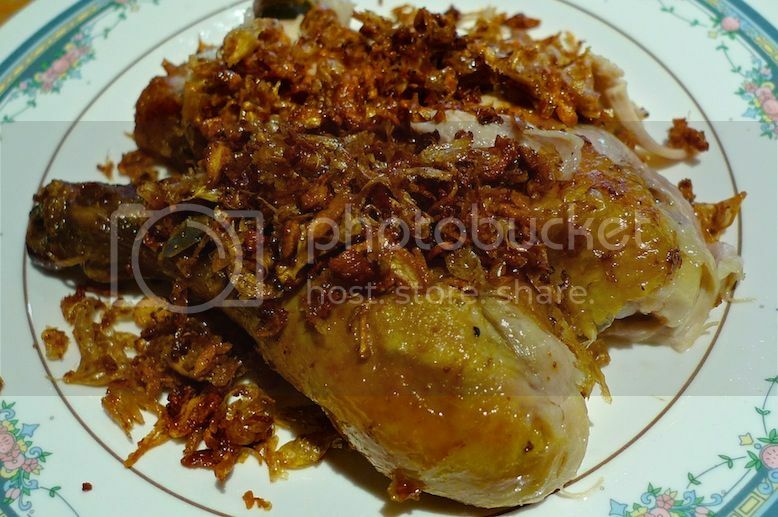 One food I just had to eat, no matter how unhealthy, during my trip in Bangkok last January was fried chicken. Not KFC, mind you - or any fried chicken - but Thai fried chicken. 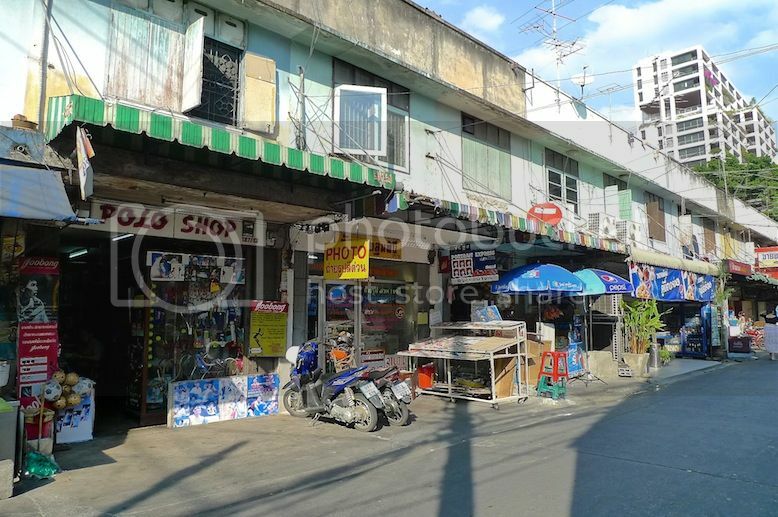 So where to go for the best fried chicken in Bangkok? Well, I was recommended the Soi Polo Fried Chicken! Located at Soi Polo (hence the name), off Wireless Road (I found the name of these two roads rather interesting! 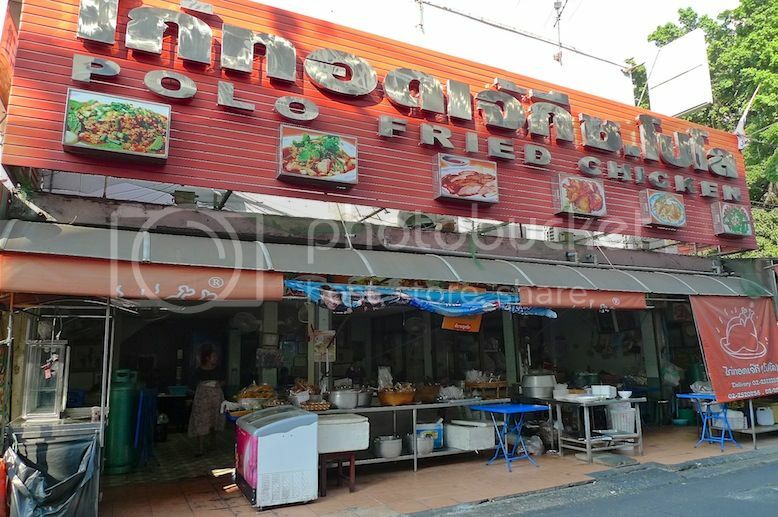 ), Soi Polo Fried Chicken had been serving Isaan food for more than four decades! I had wanted to visit this restaurant during my Bangkok 2012 trip but somehow, I did not manage to. Ironically at that time, I was staying at the Pinnacle Lumpinee Hotel which was much nearer to this restaurant than the Bangkok Loft Inn where I stayed during this trip. Anyway, after our amazing tour of the Erawan Museum in the morning, my friend and I took the BTS Skytrain and alighted at Asok Interchange Station where we switched over to the MRT and alighted at the Lumphini MRT Station. From the station, we walked northbound along Wireless Road (aka Thanon Witthayu) passing the Lumpini Park on our left. It was quite a long walk - took us about 10 minutes (actually quite a walk in the park for me except for the hot scorching sun!) 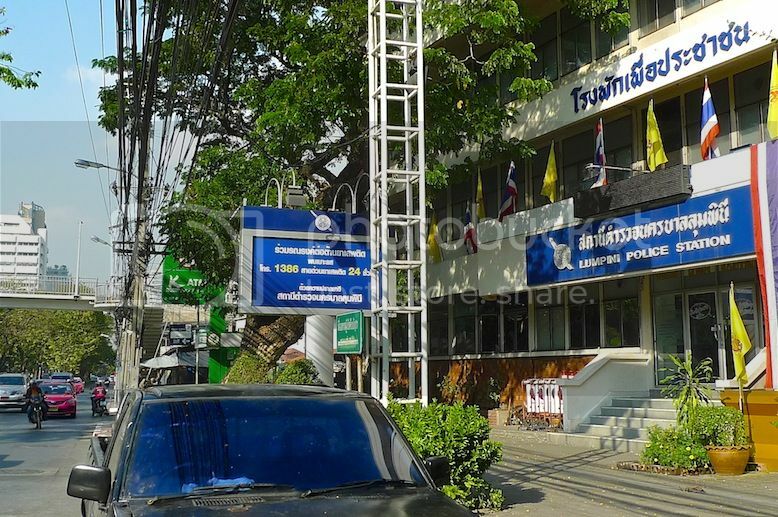 - before we saw this Lumpini Police Station on our right. 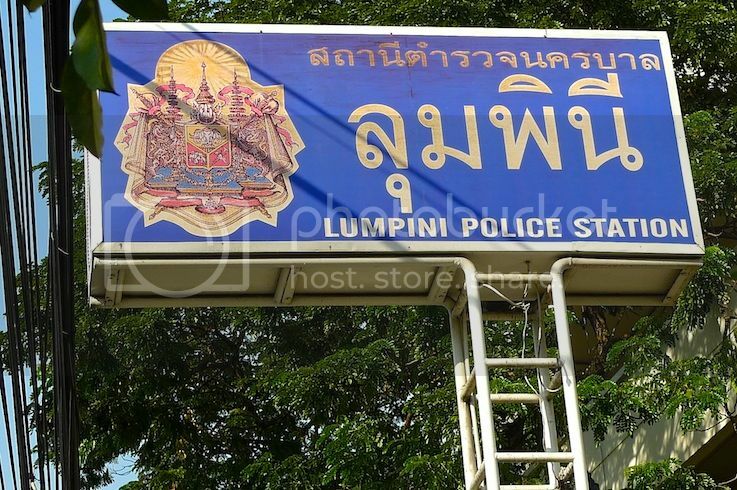 The Lumpini Police Station signboard. 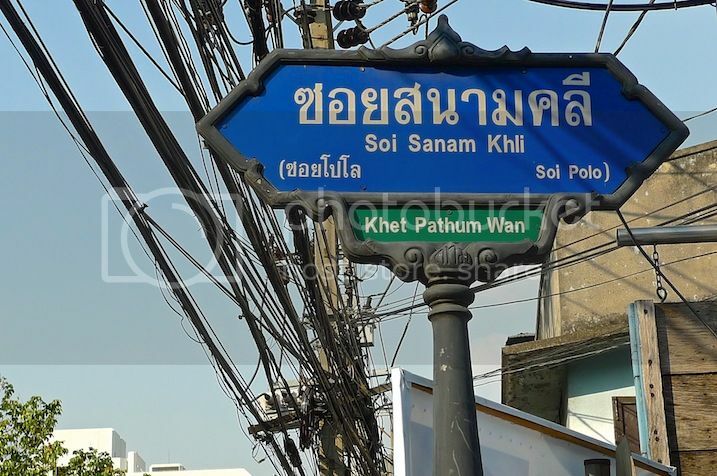 Right after the Police Station is a side street to the right called Soi Polo (aka Soi Sanam Khli). I was wondering why the road is called Soi Polo. Look! There's even a Polo Shop here! 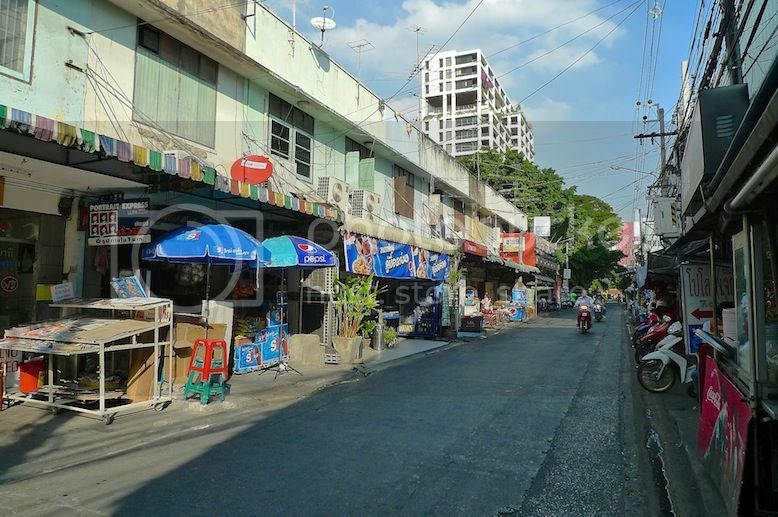 There's a Royal Bangkok Sports Club and a Polo Club at the end of this street. From what I heard, Soi Polo Fried Chicken had been servicing patrons of these clubs when it first started and its business had expanded from there. It's hard to miss the restaurant as there's a huge red signboard with the words 'Polo Fried Chicken' emblazoned on it. However, I was surprised when a lady (which later I learnt was the owner) told me the restaurant was a few doors away. This one was just the kitchen or maybe doubled up as a restaurant when the proper restaurant is full. As it was a hot day, I was really glad to find the restaurant we were diverted to has air-conditioning. Sorry no pictures of the restaurant interior as it was pretty simple and not stylish or trendy. 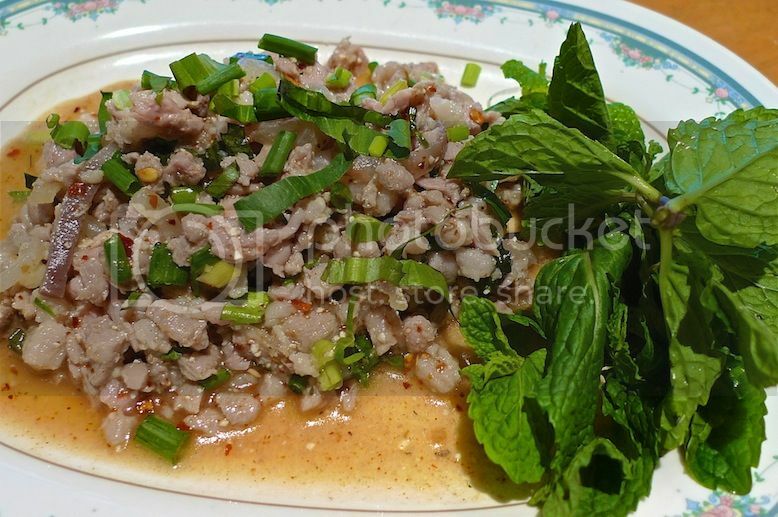 We started off with Larb Moo or spicy minced pork salad priced at 60 baht (USD1.90 / RM6). Bits and pieces of minced pork in a mildly spicy mix of lime and fish sauce amongst other ingredients made this dish quite appetizing. If you do not like pork, you can also opt for beef or fish. We also ordered a bowl of white rice each at 10 baht (USD0.30 / RM1) per bowl. 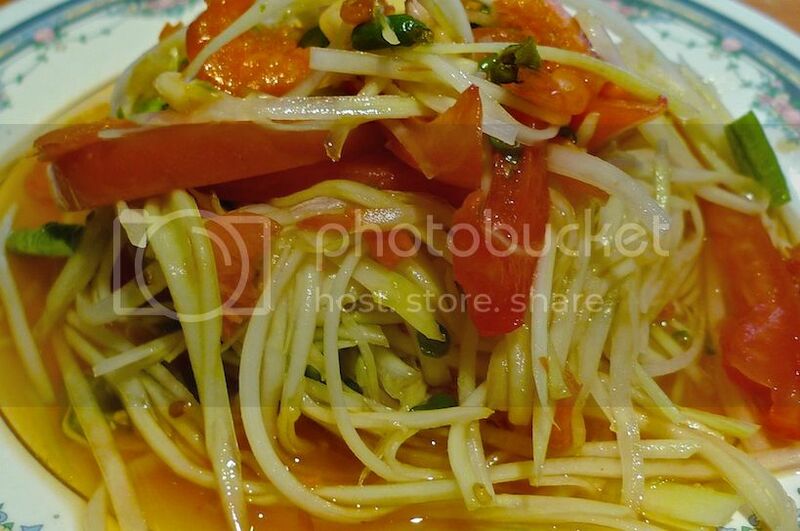 Of course no Thai food can be complete without ordering the Som Tum or spicy papaya salad. Priced at an affordable 40 baht (USD1.30 / RM4), Soi Polo's Som Tum is honestly the best som tum I have eaten in Bangkok so far. The good thing was, we were asked how spicy we wanted our som tum to be. 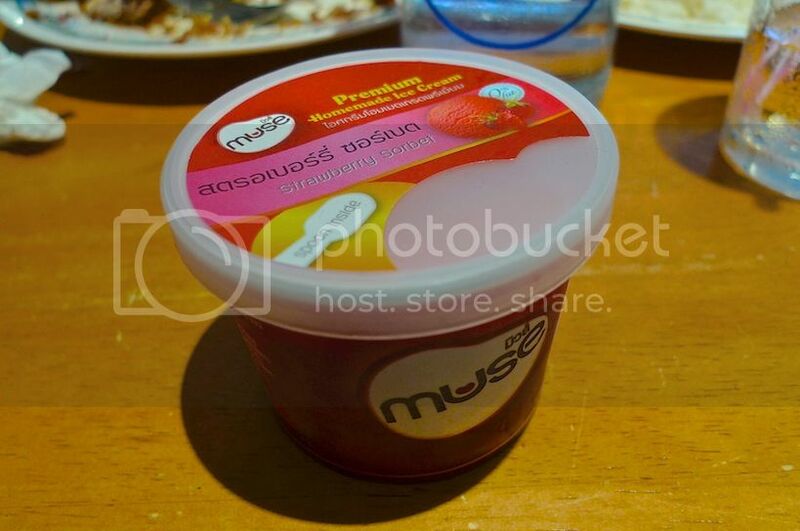 My friend and I wanted it to be 'moderately spicy' although I was not sure what that would mean exactly to the Thais. So we ordered their signature Gai Tod or fried chicken which came with ....gasp! .... lots and lots of fried garlic! Reasonably priced at 100 baht (USD3.20 / RM10) for half a chicken, this is definitely the best fried chicken I have eaten in Bangkok (although I must admit I have not eaten an awful lot of fried chickens in Bangkok before). 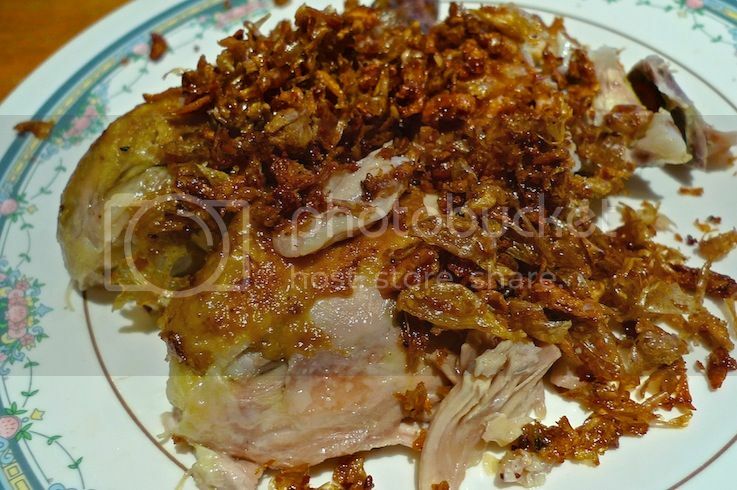 The chicken meat was moist and juicy and not too oily although pretty tasteless I must say. 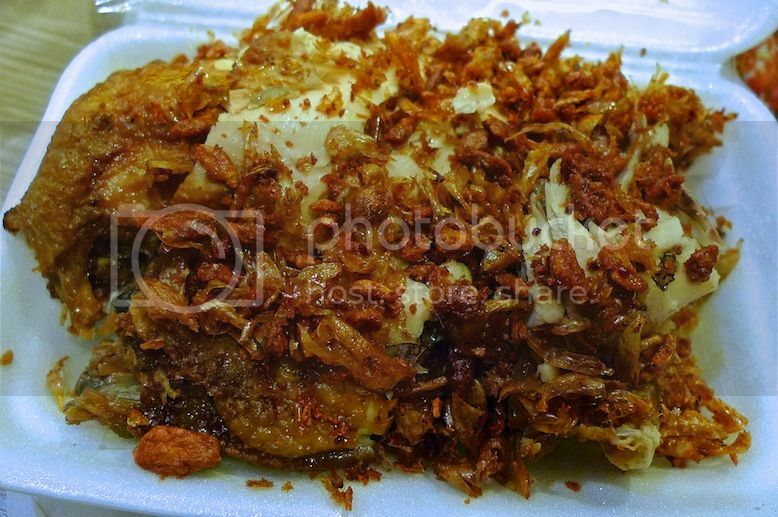 But what really stood out was the crispy fried garlic! That to me, really made all the difference! In fact, I could just finish up all the fried garlic without the chicken if I wanted to! LOL! They also provided 2 types of chili sauce to dip the chicken meat in. 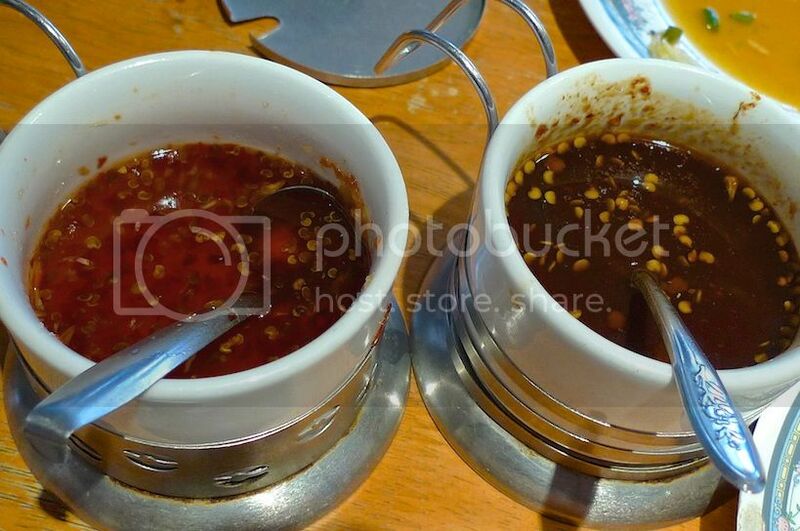 There's the spicy chili sauce (left) and the sweeter and less spicy sauce (right). These sauces made the tasteless chicken meat such a joy to eat! Yum!! 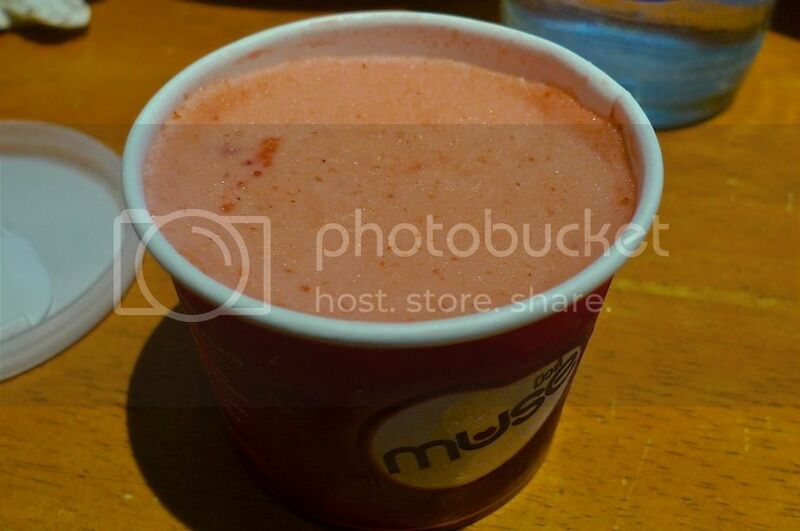 It was pretty delicious and a relief with the hot weather outside. There are many more items in the menu that you can order, but as there were just the two of us, we could not possibly eat so many! 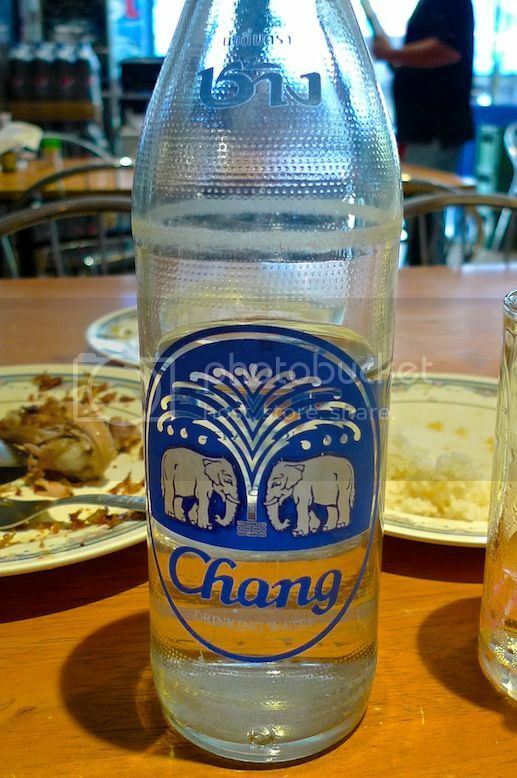 But you can be sure I will return to this restaurant to try their other items if I ever visit Bangkok in the future. Guess what did we do before we leave? Well, we bought some fried chicken as takeaway for our supper that night! Haha! !